Quite a swing. 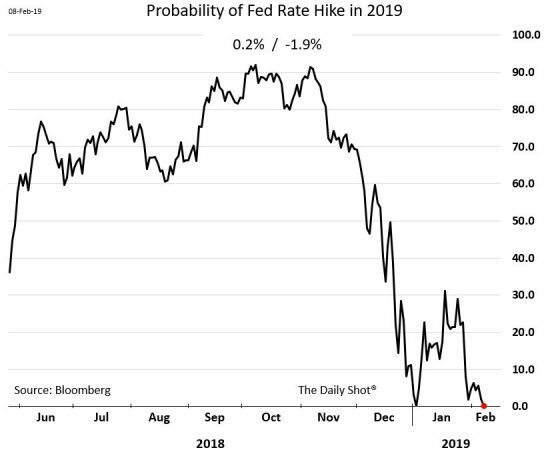 Less than four months ago the market was pricing in a 90% chance of a Fed rate hike in 2019. Those odds are now nearly 0%.